Near the end of the Captain America: Civil War movie, almost all of the heroes in Captain America’s team were locked up at the Raft prison. Iron Man, trying to get information on Captain America’s whereabouts, visits the prison. He’s taunted by Hawkeye with a loud “The Futurist is here.” welcome. Why call Tony Stark that? The Futurist? At no point in the movie, or any of the previous Marvel films did Stark refer himself as the Futurist. I believe it’s an easter egg from the Civil War comics, or the start of it anyway. During a meeting of the Illuminati, a secret cabal of super heroes, Iron Man proposed that they all sign on with the Superhuman Registration Act, the comic equivalent of the Sokovia Accords. 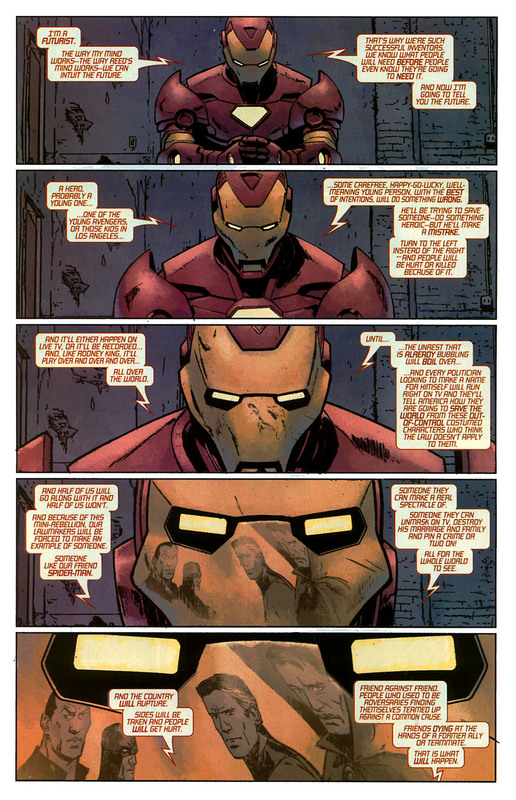 When the rest of the heroes reject the idea, Tony gives them this speech. I’m a futurist. The way my mind works — the way Reed’s mind works — we can intuit the future. That’s why we’re such successful inventors. We know what people will need before people know they’re going to need it. And now I’m going to tell you the future. Iron Man then correctly predicts the incident that would force the US government in forcing the law into action, and hunting down heroes who refuses to unmask. You can say what you want about the man, but the Futurist was right. 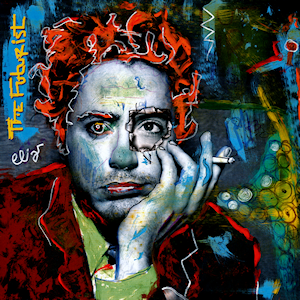 Or if that’s not enough for you, there’s also that other bit about Robert Downey Jr. releasing an album in 2004 called the Futurist. Since he wasn’t playing the role of Iron Man yet, and the Civil War event in the comics wouldn’t be released until 2006, that’s some extremely uncanny foreshadowing right there.